Richard Irwin (Belper, United Kingdom) on 30 March 2007 in Architecture and Portfolio. 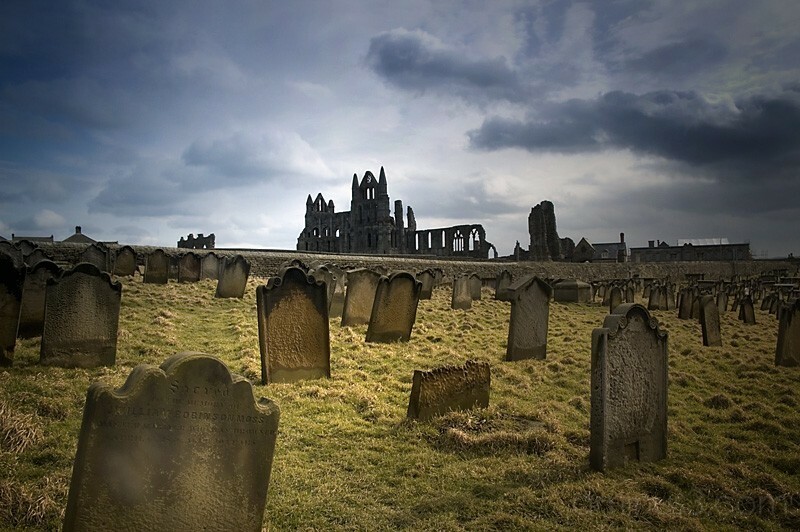 This is where Dracula landed in Bram Stokers novel, a windswept place on the edge of the North Sea. I was there on a bitterley cold and windy day, the windchill so great it made it hard to operate the camera, but the light was spectacular, and a few minutes of sunshine made it all worthwhile. Nice moody shot. Very well done! Wow! Stunning shot! Very well done! I'm just reading Stoker's novel. Therefore I'd really like to thank you for this impressive shot. Brilliant - I love the way the foreground gravestones poke out at different angles. Well done - it was worth the cold. Brilliant shot, Richard. The drama of the sky, the Abby in the background, the gravestones.... It works. Wow! Magnifique! Que de belles photos sur ce blog! Bravo!!! I got goose bumps just looking at it. This is definitely a shot to be filed under 'WoW'. SPECTACULAR image Richard! This is absolutely great shot!! This is gloomy and spooky, but an excellent and spectacular shot! This is very good Richard! Great shot from a wonderful point of view. Nicely composed. Kudos to you for enduring the elements to get this one. Yes, great capture. really nice work ! Superbe! belle prise de vue. such a beautiful lighting in here! Amazing scene, great capture and great work! sinister place, very good perspective. Magnificent shot! Love the perspective and the mood captured. Fantastic job on editing. Tremendous image....a rare moment of great lighting... perfect!